Ever since I started making postings to the Talend website, I have begun to get Nigerian 419 scam emails. Normally, I use dummy email accounts for posting to newsgroups. But in this case, I used a non-dummy account. Now I regret that decision. 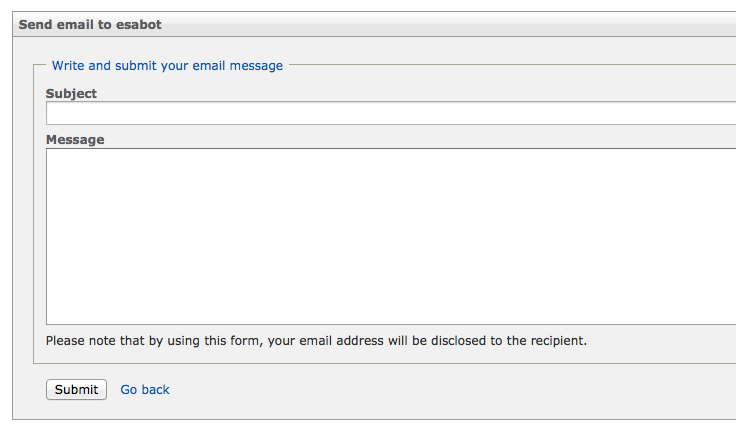 In the About section, you may want to hide the actual email, and create a contact form instead. I'm sure others are getting the scam emails too. Thanks for posting this issue to us, I have reported it to our IT team. We haven't got any scam emails from the Forum on my email address and nobody else reported this so far, but obviously. I don't know about any "nigerian 419" so we will need your help to figure out what turned wrong. Where is the "about" section you're talking about where emails are not hidden? Thank you for giving us additional details so that we can fix this problem asap. without giving away the email address. Now that I look at my spam folder again, there were some 419s in March. One in July. One in August. so far in October (and today is the 14th). I've attached a screenshot from my spam folder. It may be complete coincidence, and/or completely unrelated. How ironic. As soon as I made the last post, I got another spam email. Shong consciously added his email address in the signature. By default, your signature is empty, but you can add a website url or a twitter account or your email. This is perhaps not a best practice to let an address in clear, but Shong is strongly committed to helping the community! When an account is created, the email address is always private and hidden. But some users publish this information in the signature, set it as a FirstName, or directly in the content of a post. These situation are possible, but always the consequence of a human decision. In regards with the send email feature, it's true we must add a captcha and plug it to our antispam system. However this feature can not be the source of your spam (the title and the email address are normalized).